Dietary exchanges based on Exchange Lists for Diabetes. © 2008 American Diabetes Association, American Dietetic Association. 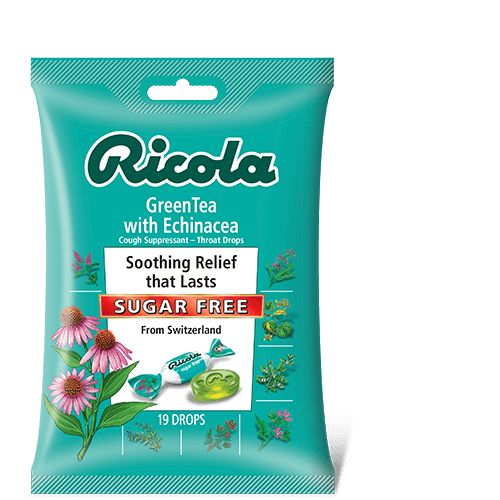 Ricola Sugar-Free Green Tea with Echinacea Cough Drops are delicately flavored with natural green tea, Echinacea and the added goodness of mountain grown Swiss herbs. These drops are uniquely delicious and distinctly Ricola.